Terry Glavin: Afghanistan: "Graveyard of Empiricism"
I went with "Absurdistan" for the first chapter of my book, but I like Graveyard of Empiricism. I covered the same points that Javid Ahmad and Dhruva Jaishankar cover in this essay in Foreign Policy. They just scratch the surface, and it's an excellent essay. 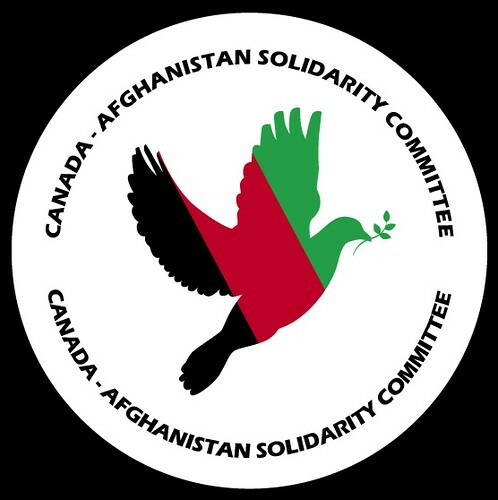 Their main observation is that the "western" understanding of Afghanistan is enfeebled because "a number of questionable assumptions about the Afghan people -- concerning their attitudes to foreigners, their history, their society, and their values - go unchallenged." As in the rubbish that a majority of Afghans are inherently hostile to the United States. As in the "graveyard of empires" nonsense. 1. "In this year's edition of the reasonably reliable Asia Foundation survey of Afghanistan -- which polled 6,348 Afghans from all 34 provinces -- an overwhelming 69 percent of Afghans polled say they are satisfied with the way democracy works in Afghanistan." 2. Forget partition. Joe Biden doesn't know what he's talking about. "A cursory look at history tells us that the partition of mixed political entities has almost always been accompanied or preceded by ethnic cleansing or immense sectarian violence: Consider India, Palestine, Bosnia, or Cyprus. Afghanistan's population is heterogeneous, and given the commitment to establishing a pluralistic and democratic state, calls for the country's de facto or de jure partition appear both irresponsible and impractical." 3. But we can't afford it! "According to the Congressional Research Service, the war in Afghanistan will cost the United States an estimated $114 billion this year, a mere 3 percent of the federal budget, and a much smaller fraction of the American economy. This appears to be a small investment relative to the importance to American foreign policy and national security of getting Afghanistan right." They might have added that most of that money never leaves American bank accounts. 4. "A plurality of Afghans (46 percent) believes that the country is headed in the right direction, compared with 35 percent who believe otherwise. What is even more encouraging, only 11 percent of Afghans have sympathy for armed opposition groups, half the proportion who expressed similar sentiments two years ago." 5. "A balanced view of Afghan public opinion, history, culture, and politics -- and, just as importantly, of the United States' ability to shape these factors in advancing its national security interests -- is crucial as Washington debates a decision that will have important regional and international implications for decades to come."